Recently, I read a great blog post about Off-Season Improvements for Coaches. It’s a great read for coaches at all levels. The article offers 7 Career Enhancing Thoughts Heading into Summer. I thought this article was not only great for coaches but anyone that could use some career advice. Then my focus immediately turned to current girls basketball players. School has ended in Memphis and June is less than a week away. What advice could I provide them on how to take advantage of this time frame? Basketball has evolved into a year round sport where players are playing on their school teams during basketball season. Then as soon as basketball season comes to an end, AAU and travel team coaches are ready to whisk their players away on the road for tournaments. Players are involved in so many games throughout the year, when is there time to actually work on their game. June is an excellent month. Especially since there’s no more school or homework to focus on (unless you are in summer school). The Ole Miss women’s basketball team opens up the 2014 summer camp season with five sessions throughout the month of June. Campers will get to interact with head coach Matt Insell and the entire Ole Miss coaching staff during camp sessions. Current Ole Miss players will also be in attendance at camp sessions, including AP first-team All-SEC selection, Tia Faleru. The first camp session will take place June 2-5 and will be a day camp for boys and girls ages, 5-12, and will be held from 8 a.m. – 12 p.m. each day. The Rebels will host a team camp June 8-10 for JV, Varsity, Middle School and AAU teams and will host two one-day elite sessions on June 11 and June 21. The elite sessions are open to girls ages 14 through 12th grade. Ole Miss will also feature a one-day team shootout on June 20. The shootout is open to JV, Varsity and AAU teams. All camps will be held on the Ole Miss campus. Campers will primarily use courts in the Tad Smith Coliseum as well as auxiliary courts in the Basketball Practice Facility, Gillom Center and Turner Center. 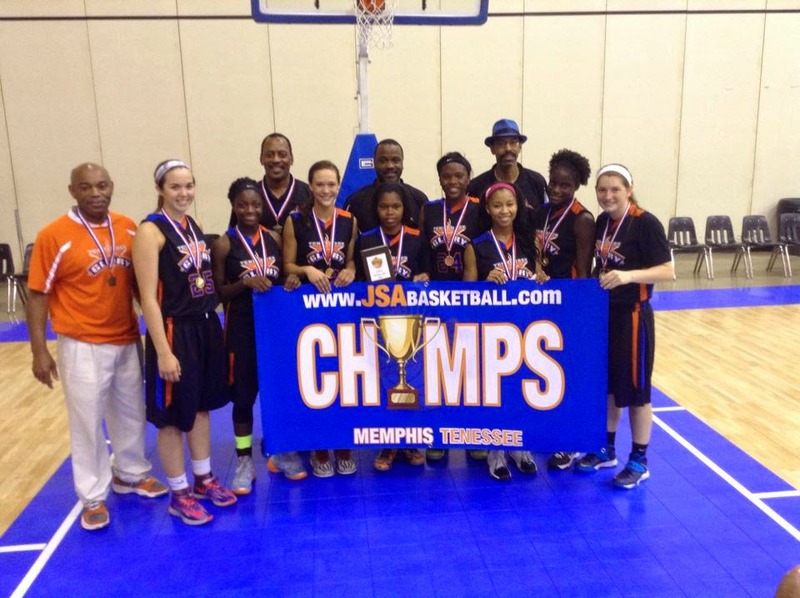 Congrats to Team Tennessee Glory 2015 for winning the TKO National Championship 11th Grade division held in Memphis May 24 -26. Congratulations to Memphis Lady Eagles! 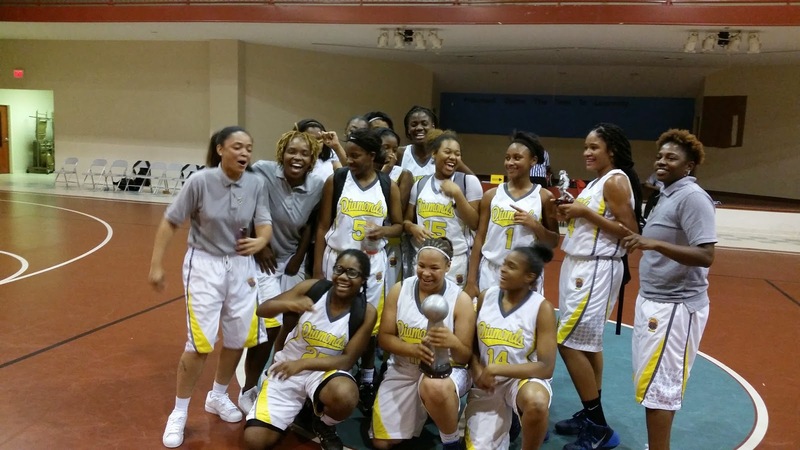 They traveled to Atlanta, GA over the holiday weekend to participate in the Georgia Tar Heels Memorial Day Tournament. 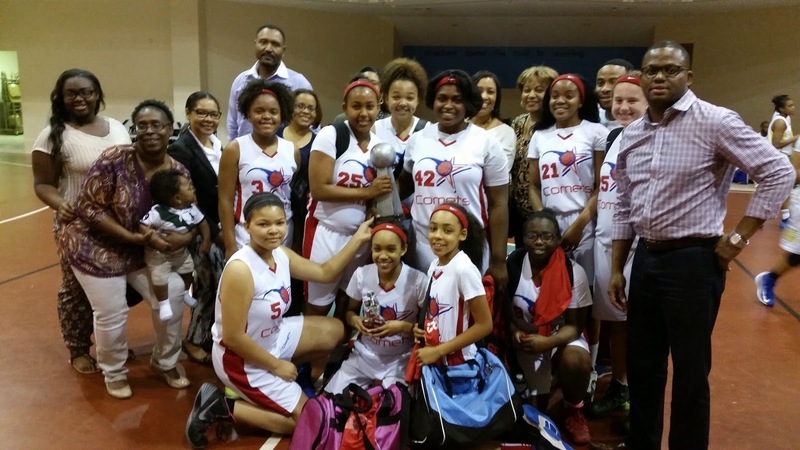 They brought the 8/9 grade division trophy back to Memphis. Following six trials sessions from May 24-26 at the U.S. Olympic Training Center (USOTC) in Colorado Springs, Colorado, the 12-member 2014 USA Basketball Women’s U18 National Team was announced on Monday evening. The team, which was selected by the USA Basketball Junior National Team Committee, will compete in the USA Basketball-hosted 2014 FIBA Americas U18 Championship at the USOTC from Aug. 6-10. Headlining the USA squad is a trio of USA Basketball gold medalists, including Receé Caldwell (Homeschooled/San Antonio, Texas); Brianna Turner (Manvel H.S/Pearland, Texas) and A’ja Wilson (Heathwood Hall H.S./Hopkins, S.C.). 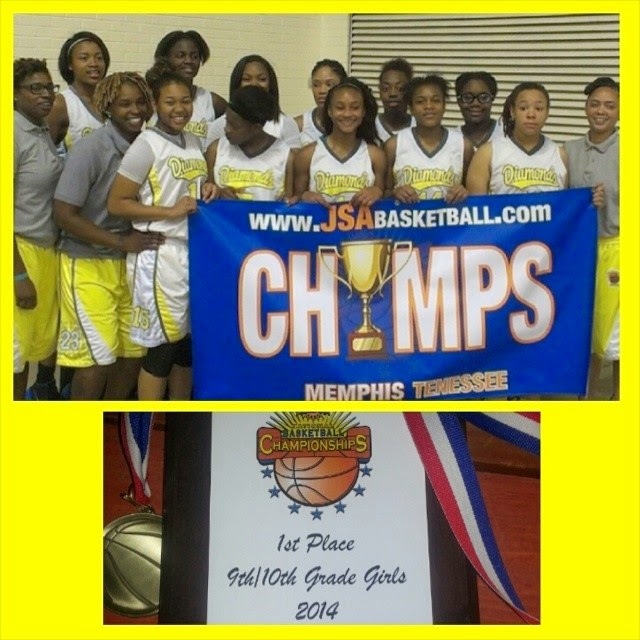 Congrats to Memphis Diamonds for winning the TKO National Tournament Championship over the holiday weekend! A couple of weekends ago, Team Tennessee Glory 9th grade team traveled to Dallas, TX to compete in the All-American Showcase. Congrats to them for bringing the championship trophy back to Memphis! 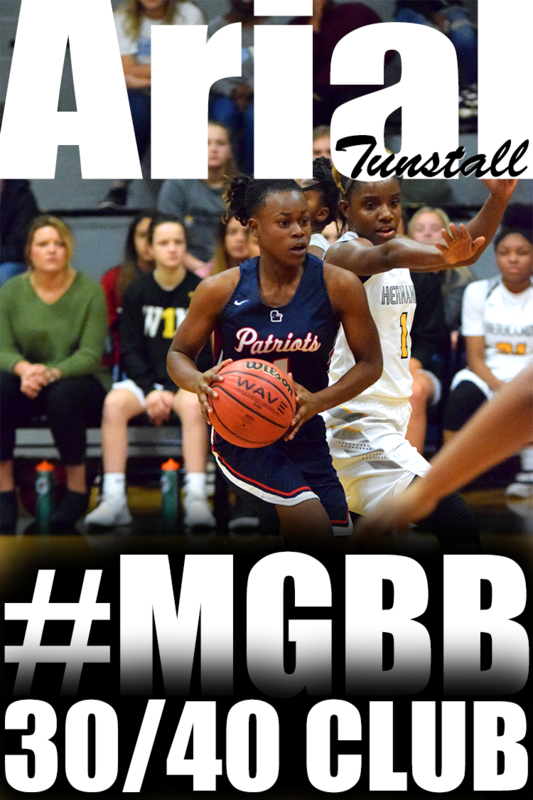 Rust College women's basketball program announced India Overstreet will be transferring to join the Lady Bearcats next season after playing two years at Mississippi Delta CC. India played varsity hoops for Hernando High. The University of Memphis women's basketball team added some front court depth with the signing of two forwards it was announced by head coach Melissa McFerrin, Tuesday. Memphis signed incoming freshman forward Cheyenne Creighton out of Canada and junior transfer forward Brianna Wright out of Greenville, Miss. Congratulations to the Memphis Diamonds! Congratulations to the Lady Comets!! 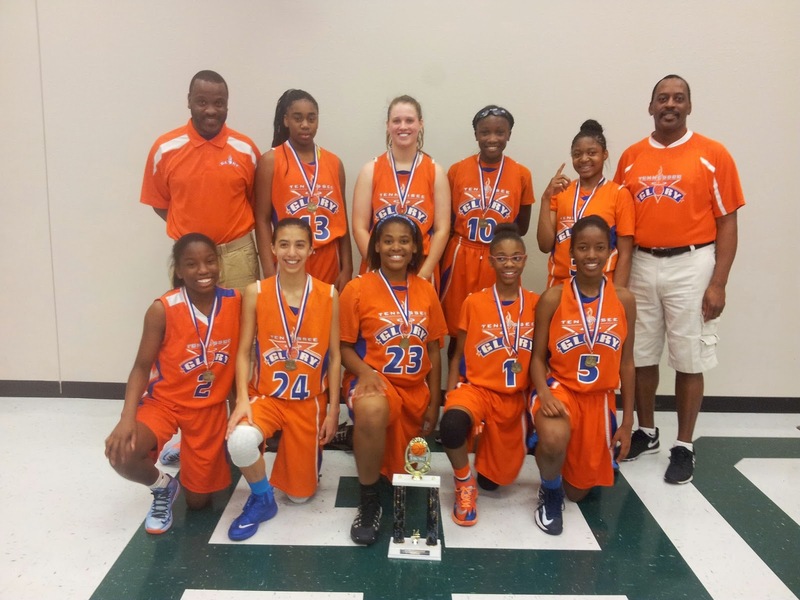 Congrats to Memphis Lady Eagles for winning the Middle School Division of the Memphis Eagles Mother's Day Hoop-Fest over the weekend. Also shout out to Alexis Taylor for receiving MVP honors. Christian Brothers University basketball coach Sarah Condra announces the signing of Jackson Christian School's Rachel Lee (Team Memphis Elite-Williams) to a National Letter of Intent to join the Lady Bucs next season. Lee, a 5-7 guard, led JCS to a 25-9 record and the first Region 8A championship in school history this season. 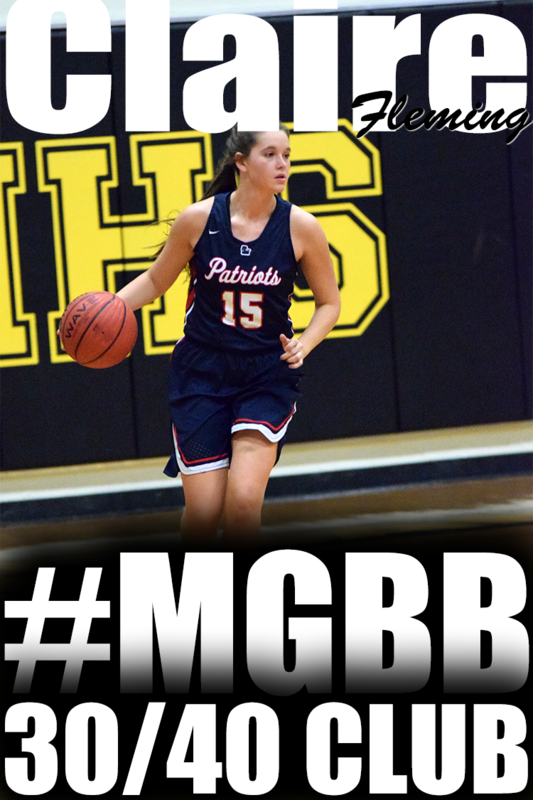 A three-time all-district and all-region player, Lee finished third in school history with 1,221 points and second with 237 steals despite missing her entire junior year due to an injury. 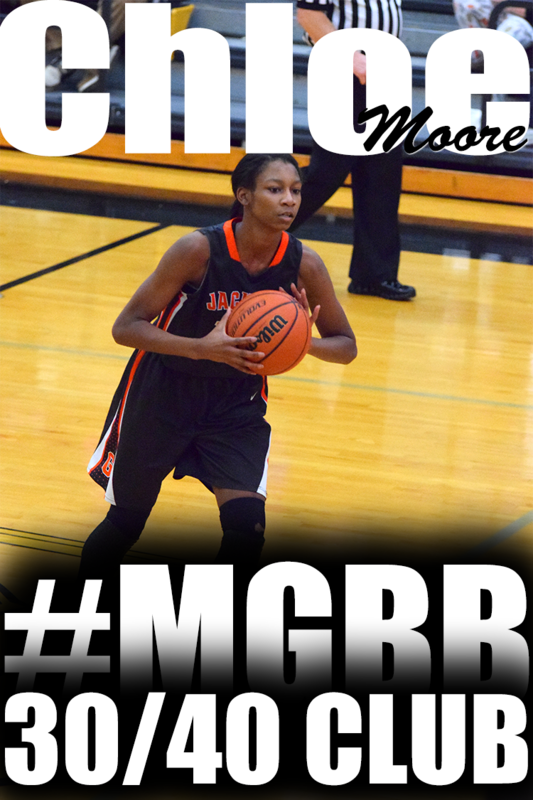 As a senior, earned First Team All-State honors as she averaged 13.8 points per game and dished out 124 assists. 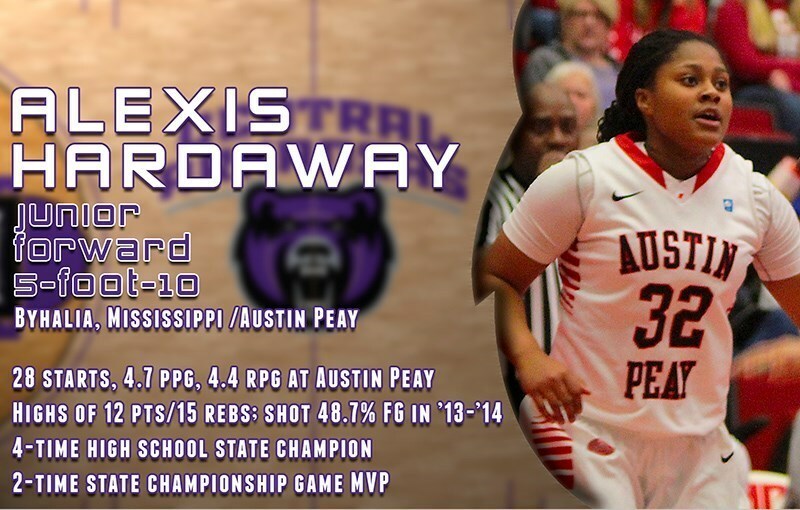 She earned a spot on the Jackson Sun All-West Tennessee Second Team as well. 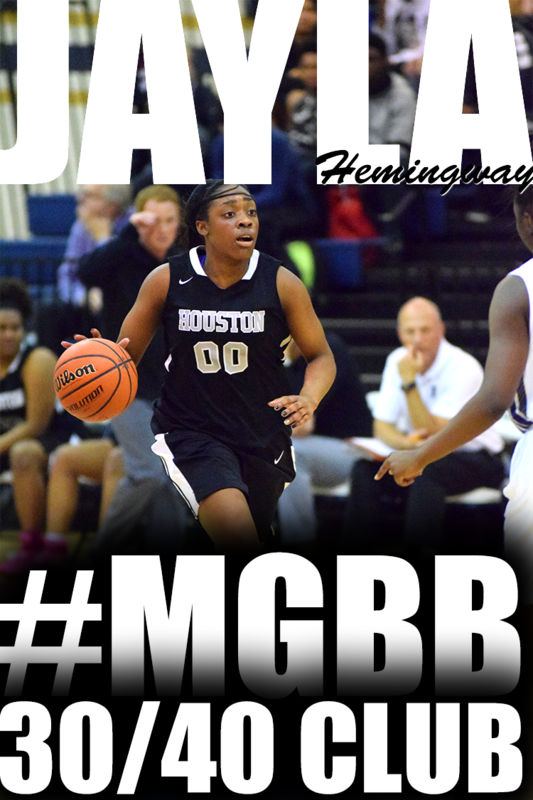 She holds two of JCS's top three seasons in steals with 88 as a sophomore and 90 as a senior. 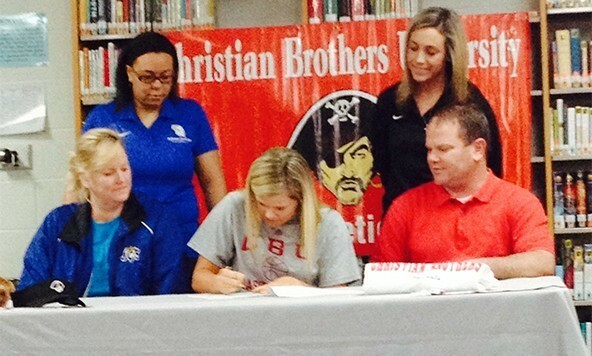 Lee is the Lady Bucs' first signee of the spring. Team Tennessee Glory 7th Grade squad traveled to Birmingham, AL this past weekend and competed in the Alabama Super Regional. Congratulations to the team, which is made up of primarily 5th and 6th graders, for bringing home the D1 7th grade division championship. I have to be honest with you. I get down sometimes. I'm not always an up beat person. I don't always have a smile on my face. Or be in the mood to put a smile on another person's face. The main thing that gets me down is the fact that I'm not in position to do what I absolutely LOVE to do FULL TIME... That is be in the gym helping young ladies in basketball. For over 15 years, I've had the vision to train, to write books, to publish DVDs and other materials to help young ladies in the game. It's been an uphill battle. But I'm still here. I'm still here because it is a journey. It takes time. It takes making mistakes, which I have made plenty of it. 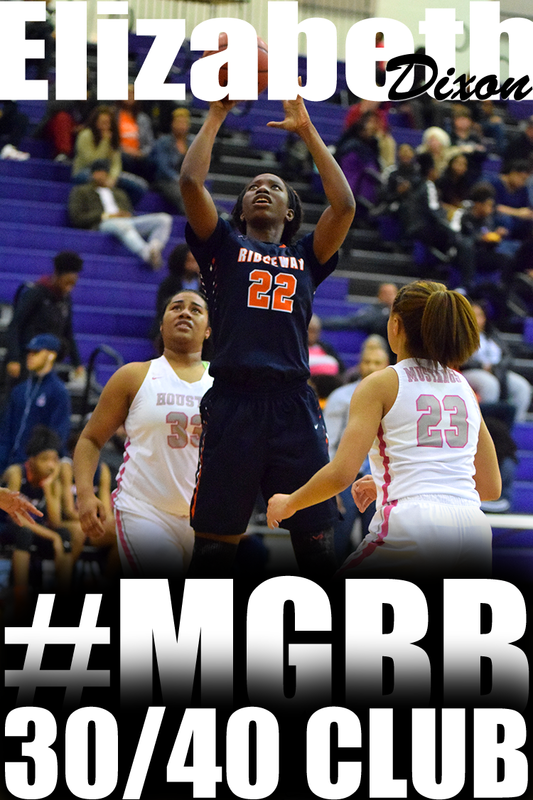 But the journey becomes more bearable when you get to work with players like Ridgeway's Ashley Jackson. Ashley is a senior. 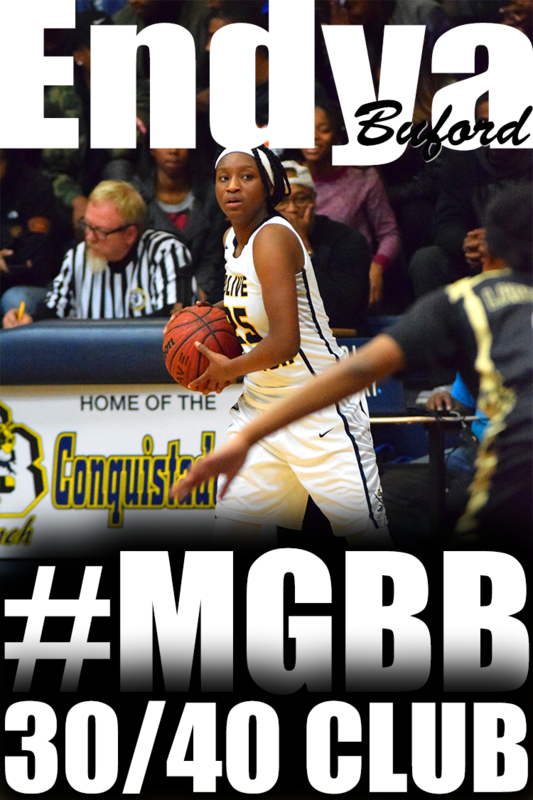 She is one of the top players in the city of Memphis. She is a 4 year starter. She earned Best of Preps honors. Ashley is also going to college for free because of basketball. Her parents don't have to pay a dime towards her education because she earned an athletic scholarship. She will be reporting to Old Dominion this summer to began summer school and basketball workouts. The most impressive thing about Ashley is that she started her transition from a senior high school girls basketball player to a college freshman basketball player in early April. What put a smile on my face and lifted me from a down period is that I was chosen to help with her transition. College basketball is in no way equal to high school basketball. Players leave a high school team where they were either the only top player or one of a few. They join a college team full of former top high school players from their perspective schools. College basketball is more time consuming requiring more running, weight lifting, practicing and film study. It's extremely emotionally and mentally draining being away from home, traveling to games, practicing harder and faster, fighting through fatigue and injuries, staying up late doing home work and studying, working to get/stay in the rotation and enduring a long basketball season. Unfortunately, a lot of signed seniors don't understand that. All they know is the lights, camera, and action of watching games on TV for 2 hours. They can't comprehend the dozens of hours of hard work they have to put in weekly before getting to the 2 hour game. I'm proud and happy for Ashley for deciding to get a jump on the hard work. The period from the end of your high school senior season to the time you report for your freshman year of college is probably the most important time for a signed senior. Why? Well, unless a college team is still playing for the title late in March. They are back in the gym preparing for the next season. The players are going through individual workouts. The coaches have upgraded their recruiting mode looking to finish out their signing class and looking towards players for future classes. This means the coaching staff is already looking for the next player that could possibly replace you in the rotation or even on the roster. So if college teams are back in the gym preparing for the next season, if you aren't, YOU ARE BEHIND. You are already behind because you haven't played on the college level yet. Then you are two steps behind because your future teammates, who already have college experience, are improving their game even more. Now back to Ashley... I started working with Ashley in early April. We probably would have been in the gym a lot sooner if she would not have been injured. Ashley hurt her ankle back in March in the state championship tournament semi-final game. As soon as she was able to get back on the court, I got the phone call. Well I got the text, which resulted into a phone call. She attended my Junior level group session on a Saturday. She was back in the gym with me, by herself, the following Tuesday for a non-stop 1 hour workout. Then on the track Friday for an endurance workout, by herself. She gets to the trainings early and never complains one bit about what I ask her to do. I love the comment from Coach McGraw "It's very evident who put in the extra effort". Believe me, it will be very evident to the college coaches which freshman put in the time before they report to school. According to Coach McGraw's words, putting in extra work outside of practice equals improvement. Improvement makes a good impression on your coaching staff. If you are a signed senior, what first impression do you want to make to your new coaching staff when you report? I did not realize how many Memphis area players had signed with Ole Miss until I read the article below, Women's Basketball Adds Three in Spring Signing Period, from the Ole Miss athletics site. Five of the 6 players have ties to Memphis. 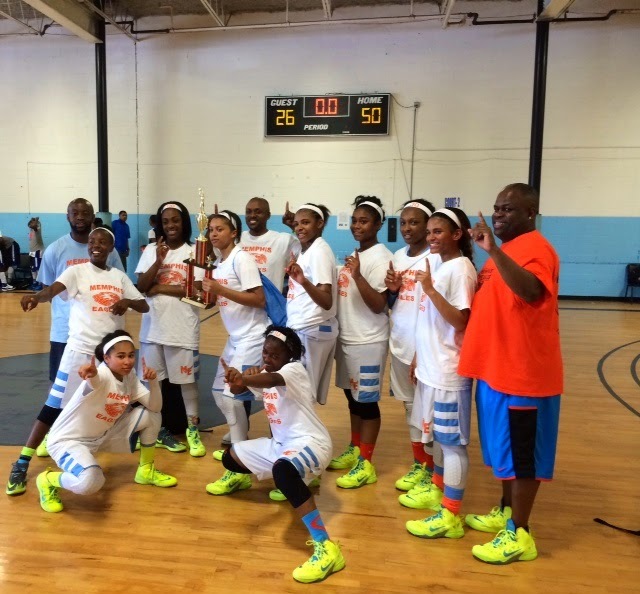 They are either from the Memphis area or played on a Memphis AAU/Travel team. Head women’s basketball coach Matt Insell added three players to the Ole Miss women’s basketball team on Wednesday (April 30). Insell announced that Kelsey Briggs (Memphis, Tenn./Overton HS), Kiara Golden (Olive Branch, Miss./Center Hill HS) and Erika Sisk (Oxford, Miss./Murray State/Oxford HS) will join the team for the 2014-15 season. The trio will join Shandricka Sessom (Byhalia, Miss./Byhalia), A’Queen Hayes (Horn Lake, Miss./Horn Lake) and Toree Thompson (Broken Arrow, Okla./Broken Arrow HS) who signed with the Rebels during the early singing period in November. Briggs, who initially signed with Georgetown in 2012, hails from Memphis where she played her high school basketball at both Overton and Freedom Hill. As a senior at Overton, Briggs was ranked No. 44 at her position by ESPN HoopGurlz and No. 235 by Blue Star Report, while averaging 9.6 points. 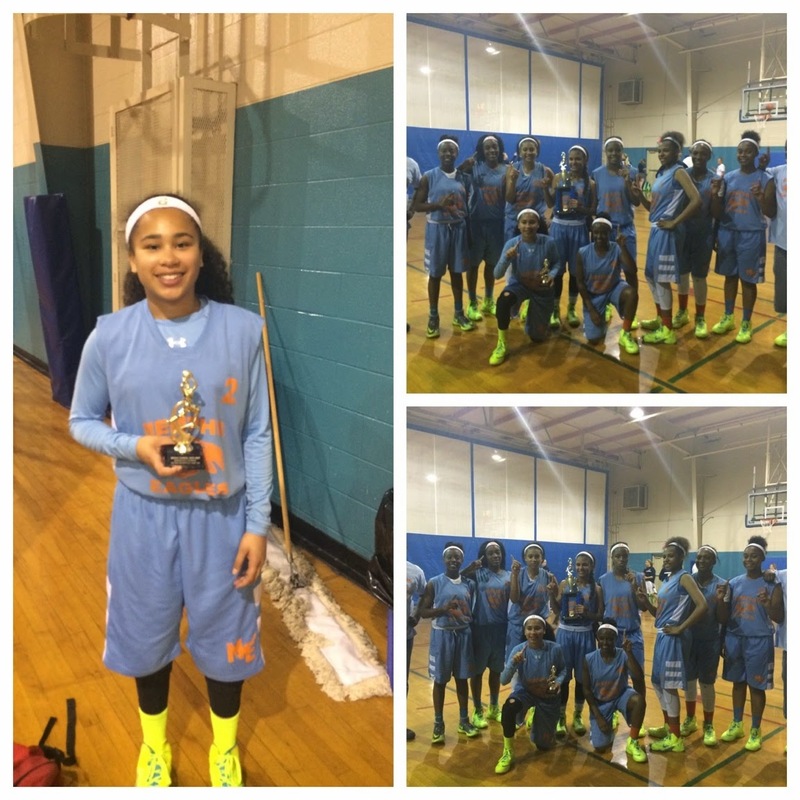 The 6-2 guard played her AAU basketball with Memphis Elite. Golden is one of four native Mississippian’s that will join the Rebels next fall. Golden comes to Ole Miss from Center Hill High School in Olive Branch, where she led her team to a 20-9 record as a senior. The four-year letterwinner averaged 22 points and 6.0 rebounds as a senior while contributing 3.5 steals and 2.0 assists per contest. Golden was named to the Clarion-Ledgers “Dandy Dozen” a list that also featured her future Ole Miss teammates Shandricka Sessom and A’Queen Hayes. She also helped her prep squad to three 5A District titles and reached the state semifinals as a sophomore. Golden comes from a basketball background as her father, Lamarcus Golden played his collegiate basketball at Tennessee and she is the cousin of former NBA player Anfernee “Penny” Hardaway. Oxford native and 2013 Ohio Valley Freshman of the Year, Sisk returns to her hometown when she joins the Ole Miss women’s basketball team for the 2014-15 season. Sisk, who spent the 2012-13 season at Murray State, was the OVC Freshman of the Year and was named to the league’s All-Newcomer squad. During her season with the Racers, Sisk averaged 13.6 points, 3.4 rebounds, 2.1 assists and 1.8 steals and earned OVC Freshman of the Week accolades a record nine times. Sisk was a standout in basketball and track during her prep career at Oxford High School. She helped lead the Chargers to three straight state tournaments and a 33-0 undefeated season and state title in 2012. She is a two-time Oxford Eagle Player of the Year and was named to 2011 and 2012 Clarion-Ledger "Dandy Dozen" and 2012 Clarion-Ledger All-State first team. Additionally, Sisk was selected to Alabama vs. Mississippi and NEMBCA All-Star games. 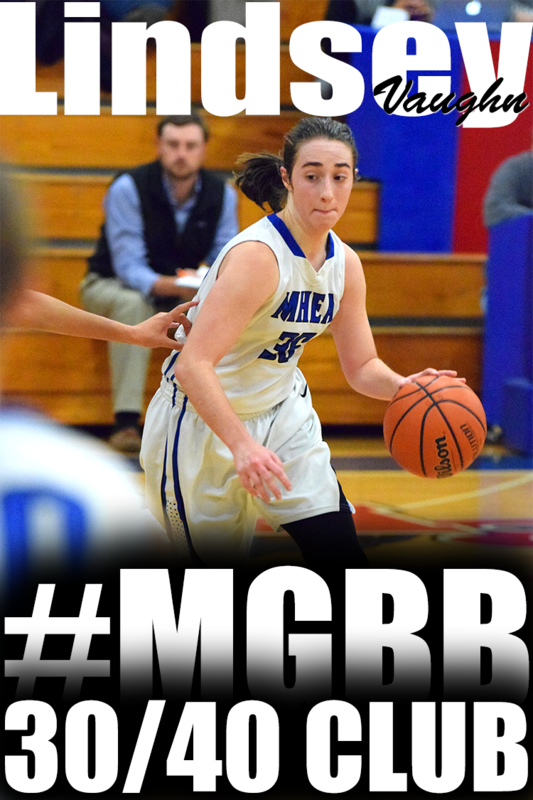 As a senior, she averaged 23.0 points, 6.0 steals, 5.1 assists and 3.3 rebounds per game. On the track she was named 2012 Gatorade Girls' Track & Field Athlete of the Year for Mississippi and led Oxford to three state team titles in track & field. 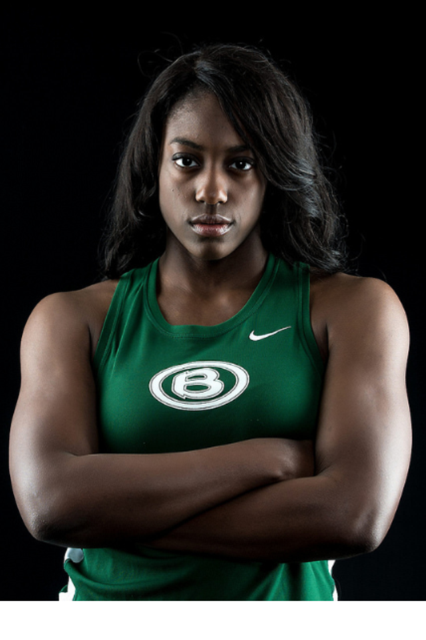 She holds five OHS records including a 40-2 triple jump, while winning the state championship in triple jump in 2012. A four-year honor roll student, she received 2012 "Pop Star" award from Mississippi Sports Hall of Fame for top athlete overall in the state. Sisk, who has been at Ole Miss for the past year, is currently competing on the track and field team and helped break a 25-year old school record in the 4x200 meter relay during the indoor season. USA Today recently released the All-USA Mississippi Girls Basketball Team. Horn Lake's A'Queen Hayes was honored with First Team. 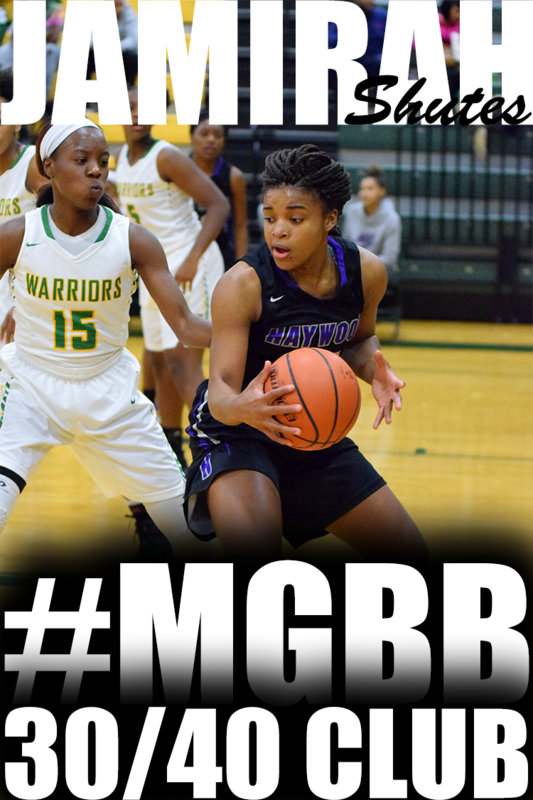 G A’Queen Hayes, Horn Lake (Horn Lake), 5-8, Sr. In her final season before heading south to join the Ole Miss Lady Rebels, Hayes averaged 12.2 points per game and helped the Eagles finish 30-1 to claim a 6A state title. USA Today recently released the All-USA Tennessee Girls Basketball Team. Briarcrest's Jasmine Cincore received First Team honors and ECS's Emily Lytle made Second Team. F Jasmine Cincore, Briarcrest Christian (Eads), 5-9, Sr.
University of Nebraska signee averaged 15.2 points, eight rebounds, 3.1 assists, 3.1 steals, and 1.1 blocks per game. As a junior in 2013, Jasmine was the DII-AA West Region Player of the Year and won her first of two Miss Basketball Awards. She guided Briarcrest Christian to win 53 of 55 games played in her two seasons at the school. During the Spring Evaluation Period, Team Memphis Elite-Jones and Team All In traveled to Montgomery, AL for the Montgomery Basketball City Fest. 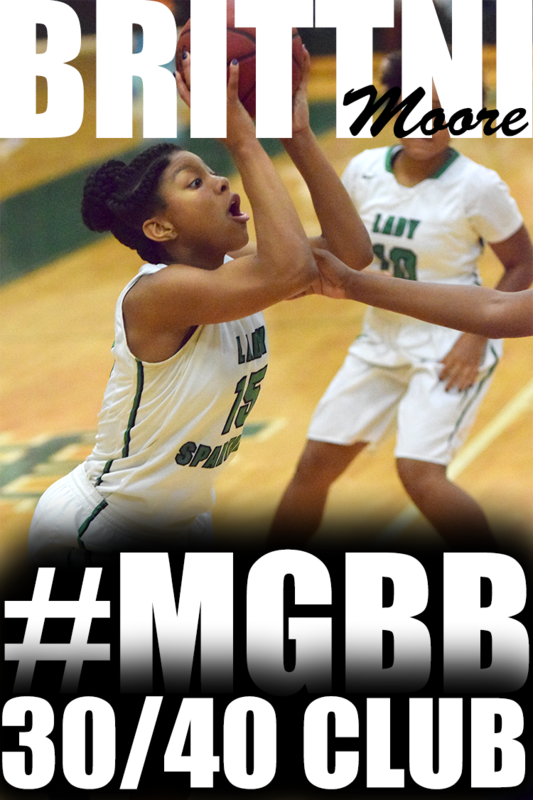 Balln Prep Girls writer Thad Hammonds liked what he saw from several Memphis players. 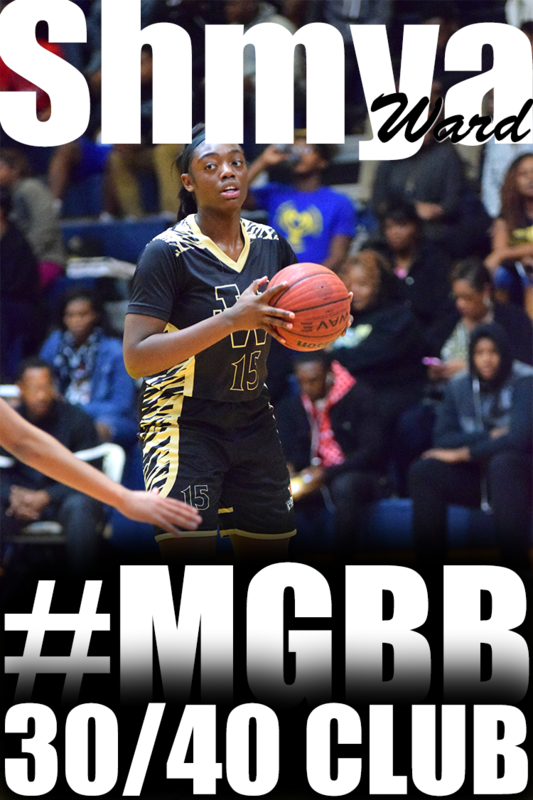 Mirrakohl (pronounced Miracle) Johnson (Memphis, TN) Team Memphis Elite-Jones 17U (Arlington): The 5’10” 2015 forward has the perfect body for what she does best. She hits the boards hard, both offensive and defensive. She goes about her business like a ninja… silent and effective. Not only is she a superb rebounder, she can score also. Put-backs, mid-range jumpers, displaying her ball handling skills she can score in a variety of ways. Manaya Jones (Memphis, TN) Team All In 17U (Raleigh-Egypt): This 6’2” 2016 center should be a coach’s dream. She has size, strength and speed. On offense she’s strong in the paint, getting to her spot and demanding the ball. Exhibits legit post moves with a mean drop-step spin move that’s both quick and forceful. Defensive lane is here domain, blocking and altering shots as if she had more than two arms. Descent handles, can put it on the floor to relieve guards of pressure. Light on feet, good foot movement, runs floor well. Very unselfish, will kick ball out to the open shooter when double teamed. Gazmyne Herndon (Memphis, TN) Team Memphis Elite-Jones 17U (Douglass): This 5’8” 2016 guard likes to drive and dish. Runs the offense with efficiency, and is a constant triple-threat. Good defender who’s lean with average foot speed and an above average rebounder. Good motor, always active. Over 3000 players competed for the chance to get noticed by over 500 colleges and numerous scouts at the Deep South Classic tournament in Raleigh, NC. Team Penny's Kayla Williams (Overton) did. 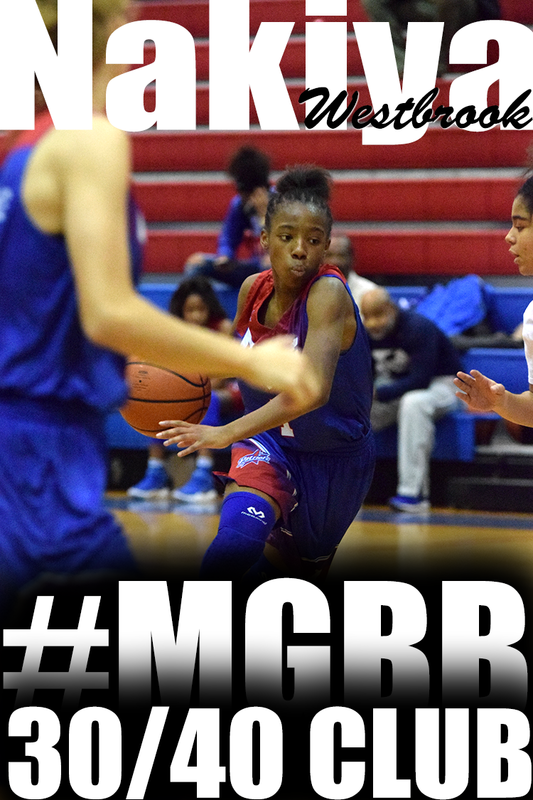 Blue Star Media's Prentice Beverly felt Kayla stood out above the rest. Kayla Williams (Memphis, TN) Team Penny 2016 16U: The athletic 6-1 2016 wing, played stellar all-around game. Williams likes to attack off the dribble with either hand looking to create contact and finish in traffic. She also showed the willingness to manufacturer her shot by attacking off the bounce yet still consistently draining the spot up jumper as well as fill it up from behind the 3pt arc. Williams used her long arms to rebound well at both ends of the floor and her long athletic frame and quickness helped her play solid defensively. Williams played aggressive at both ends of the court and has a knack for being around the ball. I really like Williams’ game she has all the tools to be high major prospect.